We have been doing all of these crafts with jars....what do we do with the lids? Here is one idea from Daisy Mae Belle. 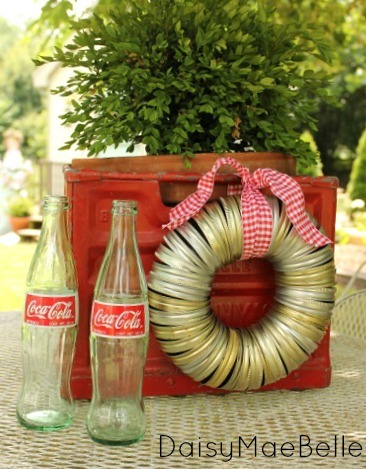 I have seen other canning lid wreaths but I really love this one! Head on over and see how to make your own in just a few minutes. You have to love a quick craft that looks like this. Be sure to click over to the original source to pin this project.